The push is on to introduce digital air traffic control tower technology at airports both in Australia and across the Tasman. Airservices Australia says digital tower technology, which it calls DAS, for digital aerodrome services, can provide an effective replacement or contingency backup to existing conventional air traffic control towers while delivering cost savings. The technology involves capturing imagery of an airport and surrounding airspace via video cameras, sometimes up to 15 mounted on a mast. Imagery is compressed and sent by wide area network (WAN) and displayed on screens at a centrally-based control room. 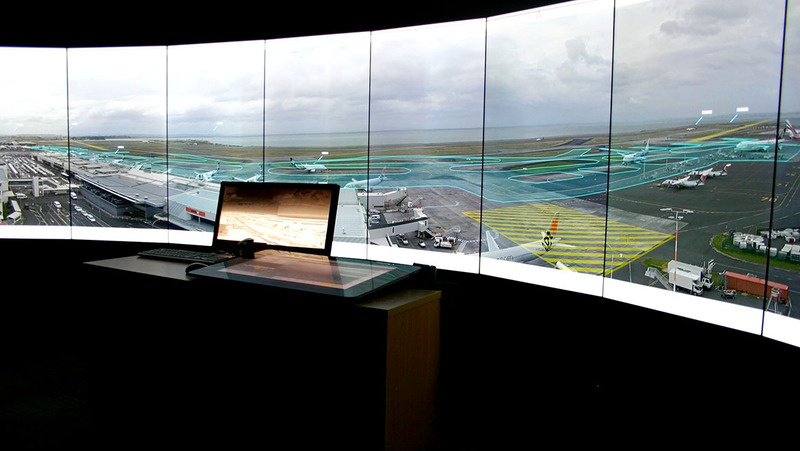 Typically, screens are positioned in an arc to display a 360-degree picture of an airport and surrounding airspace. A small number of pan-tilt-zoom (PTZ) cameras are also used, enabling air traffic controllers to replicate the functionality of binoculars. The technology can significantly increase the amount of information available to air traffic controllers and subsequently increases their traffic awareness. Aircraft information, including safety alerts, is delivered to controllers in a digital tower linked to flight data processing systems, while infrared cameras can enhance visibility in cloud or low visibility. 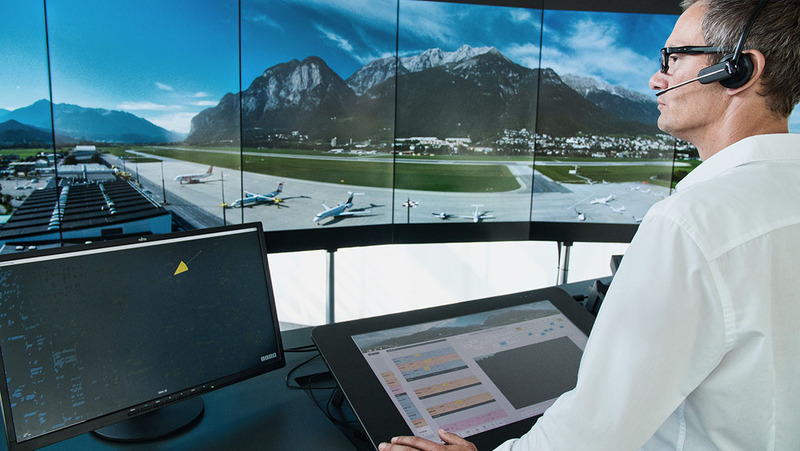 Digital tower technology also integrates aircraft into the air traffic management data network to improve flow management and collaborative decision-making. That technological promise is very attractive to Airservices Australia, which is facing a major capital investment program to replace ageing control towers, such as Essendon built in 1956, and is exploring ways to minimise costs with a flow-on increase in airspace-user charges. Digital towers can also provide for a quick initiated contingency service, replicating existing tower operations at major locations. “We also need to provide greater service resilience at our major airports,” Angus said. And digital towers also provide a more efficient service at locations with low traffic density while delivering service agility at airports where traffic levels fluctuate. “Alternatively, we need to be able to scale back services when traffic levels decline,” Angus noted. That was an issue highlighted by the construction of expensive air traffic control towers at Karratha and Broome in Western Australia following a boom in fly-in/fly-out mine charter traffic. Conservative estimates suggest it takes at least 18 months to commission and staff a new control tower at an existing airport. Both WA sites subsequently proved to be examples of services at the mercy of economic fluctuation with a reduction in traffic linked to a sharp decline in the resources sector. According to Angus, in this scenario digital towers would have allowed for a quick scale-back of service with less disruption. The provision of digital tower services for regional and remote airports from a central location would also negate the need to relocate staff. “The agility to quickly scale up and down the level of service provided at some airports enables quite a different form of air traffic management to be provided around Australia,” Angus said. Today there are few alternatives to reducing operational costs at regional airports with low traffic numbers other than by reducing the span of control tower operating hours or closing a service. There are also issues around the capacity of control at some locations to be self-sustaining given the need for staff leave, sick-leave provision, training and administration. Airservices believes digital tower technology can overcome these problems by providing centralised services to a number of locations, thus resulting in efficiencies by more effective allocation of resources to meet traffic pattern variations between airports over the course of a 24-hour period. A trial of digital tower technology at Alice Springs in 2012 saw imagery transmitted to Adelaide. Angus accepts that lessons emerged from the trial around capacity and reliability of the network linking the two locations. Put simply, network capability was not adequate to provide an air traffic control service at the time. Angus said that the reliability of the data network has since improved significantly and widespread use of DAS around the world has delivered a resolution of many of the allied technical issues. Globally, the introduction of digital tower technology is progressing at speed. Initially the technology was developed to provide effective services at remote, low-density locations, principally in Scandinavia. In Sweden, for example, the air navigation service provider (ANSP), LFV, was faced with having to replace a large number of control towers built during the 1970s, against the backdrop of a need to provide services at all airports with regular passenger transport (RPT) operations. Many of these airports were recording low traffic numbers with long intervals between aircraft movements. Avinor, the Norwegian ANSP, found that a digital tower technology could be implemented for around 33 per cent the cost of replacing tower infrastructure at each airport. The decision by NATS in 2017 to replace the London City Airport control tower service with a DAS has been a significant step forward in industry acceptance of the technology. The London City Airport tower is 30 years old and needs replacing, compounded by the fact that nearby buildings and other visual obstructions sometimes make traffic observation difficult. NATS intends to start operation of a digital tower for London City Airport in 2019 with air traffic controllers based 100 kilometres away at the London air traffic control centre in Swanwick, near Southampton. Back in Australia, a digital tower solution for Sydney will allow the existing control tower to be closed to allow for the integration of Airservices’ INTAS digital air traffic control suite without having to build a new replacement tower. “To avoid having to build a new control tower at Sydney, an alternative location is needed to provide the aerodrome service for a number of months while INTAS is installed,” Angus said. A similar need exists at Canberra. 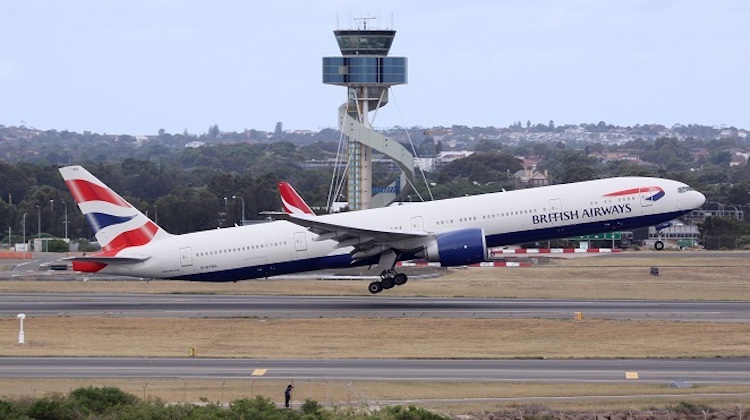 The intention is to use digital tower technology to provide the service while the control tower is unavailable, with a likely location close to the existing building. Airservices is now evaluating industry proposals to select a partner to progress the introduction of digital tower technology. “We will work with the selected partner to determine the DAS solution for Sydney and Canberra,” Angus said. Longer term, Airservices has a vision to locate a digital tower centre at Melbourne to provide services for a number of airports. “It is early days in deciding how we may operate the DAS. It is clear, however, that efficiencies result from operating multiple airports from one facility,” Angus said. “Traffic levels at many regional airports vary over the day. It may be possible for more than one airport to be operating from one position when traffic is moderate and uncomplicated. There is a general view that if three airports can be operated from one facility, significant benefits can be achieved. The upshot, then, is that Airservices likely will not build another control tower. In New Zealand, Airways is also making significant steps towards introduction of the technology through its digital towers program. Operational implementation at Invercargill, a South Island location with relatively low traffic levels, is scheduled for 2020. At the same time, a contingent tower solution will be implemented at Auckland. “We have reached the point where many of our control tower facilities are nearing end-of-life,” said Mike Turner, Airways’ digital towers operational lead. Auckland Airport is undergoing substantial expansion, including major infrastructure works, to accommodate a second runway. These works require the existing control tower to be removed. Due to the associated expense, Airways will almost certainly commission a digital tower instead of building a replacement tower. While service resilience is vital everywhere, there is an even greater need in a country prone to earthquakes. A system disruption, particularly in the key Auckland gateway, would have multiple ramifications. 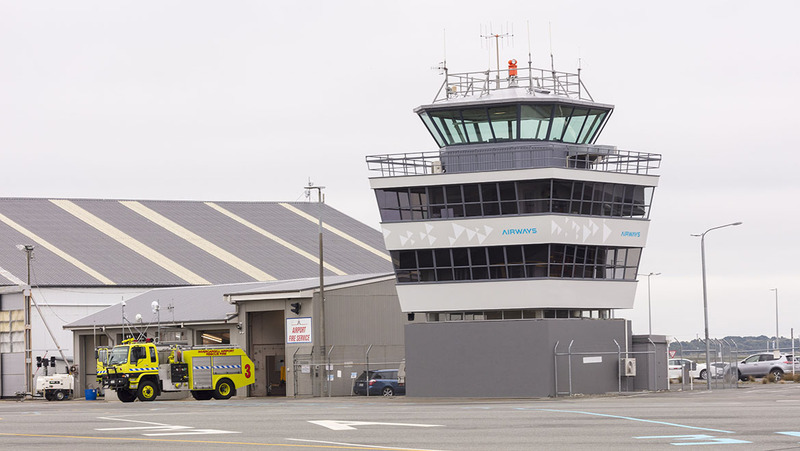 The existing contingency plan for Auckland involves staff vacating the building and moving to another tower located on the international apron. A number of systems would need to be established, such as electronic flight strips, surveillance displays and airfield lighting, a temporary solution that would take around three hours to become operational. But a digital solution will allow Airways to replicate the existing control tower in the time taken by staff to move from the existing building to the digital tower site. This digital tower operation will be located in the new air traffic control centre under construction about 800m from the existing tower and is likely to be operational around the mid-2020s. In time, a digital tower contingency solution will also be provided for Wellington and Christchurch. For regional airports, it is likely that Airways will provide a digital tower service to a number of locations from a central site. “At the moment we are in the exploratory stage about the scope of the digital tower service,” Turner said. “We are exploring with airlines, the Civil Aviation Authority and airports, around opportunities to provide a service for a number of airports from one location, as well as possibly adjusting the type of service provided during the course of the day. Airways projects that in the next 10 years around four or five control towers will need to be replaced. This will be the impetus for the widespread introduction of digital tower technology, along with decisions regarding the location of central facilities and the nature and scope of services provided. Airways is currently evaluating tenders for a digital tower service a Invercargill. Tenders for an Invercargill digital tower service are presently being evaluated with completion of this part of the process by the end of the year. Installation is expected to take around 12 months with the service going operational during 2020 after commissioning and staff training. “Airways expect to operate the digital service from the site on the airport for around two years before providing it remotely, probably from our facility in Christchurch,” Turner said. Frequentis was chosen by Airways in 2017 to demonstrate digital tower technology at Auckland. It currently provides Airways with electronic flight strips, voice communication equipment and network enhancement equipment to improve data capacity and performance. It is also involved in international forums to develop the technology, including studies around the numbers of locations that can be controlled by a single controller from a centralised facility. 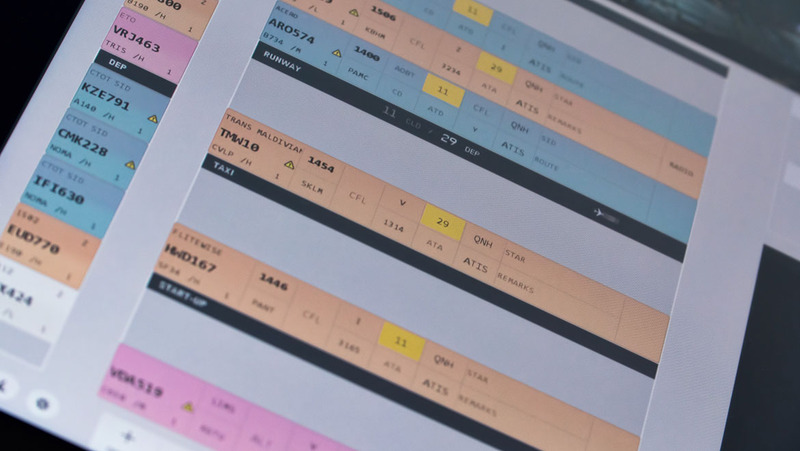 Frequentis has built the capability into its electronic flight strips to identify an aircraft speaking to a controller. Mark Robinson, Frequentis’s digital towers expert, said that while an air traffic controller can, potentially, control up to three airports at the same time, he or she can only talk to one aircraft at a time. “New procedures and practices are needed for this to be done safely,” he said. Not all locations are suited to digital tower services. Cameras may have difficulty picking up small aircraft and infrared technology does not work particularly well in very humid conditions. Unless surveillance is provided at ground level, small aircraft operating in poor weather conditions could be difficult to see. Locations with movements predominantly by small aircraft, no surveillance and poor weather conditions may still favour the presence of a control tower. Furthermore, today’s digital tower technology is likely unsuited to military air bases with their sporadic, complex operations by fast-moving aircraft. But in locations where digital tower technology is suitable, it offers the promise of greater service resilience and agility at substantially lower cost to the aviation community. This article originally appeared in the November 2018 magazine edition of Australian Aviation. To read more stories like this, subscribe here.